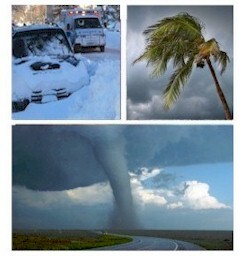 Emergency Calls - Severe Weather Warnings and Emergency Response Phone Service. Database Systems Corp. is a leading provider of call center equipment and computer telephony software. 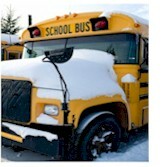 DSC provides emergency alert phone systems and services. Should a severe weather condition occur in your area, our automated phone services can help warn your community. With this emergency notification phone service, we can broadcast warning messages to thousands of households in your community, warning of catastrophic disasters including severe weather and storms. Emergency telephone warning messages can be delivered in just minutes using our network of phone systems and services. Pre-recorded warning messages can be played giving households information regarding the severe weather location and whether a community evacuation is planned or necessary. We can send a broadcast warning to specific neighborhoods or communities in the event of a severe weather storm and provide priority delivery of these messages to those nearest the severe weather disturbance. Multiple messages can be delivered to different members of the community based upon proximity to the weather alert. Calls can be directed to operators that are standing by to handle special individual emergencies. Emergency dispatchy messages can also be broadcast seeking volunteers or special assistance from emergency personnel. Contact DSC for a FREE analysis and quote and to learn more about our emergency autodialers and services. 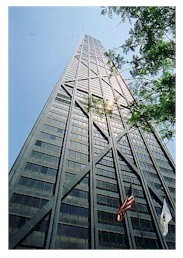 "Completed in 1969, the John Hancock Center still rivals as one of the world's most recognized buildings! The building offers the best North Michigan Ave location, unsurpassed amenities and needless to say some of the most spectacular views in the city of Chicago. " The John Hancock Homeowner Association uses our emergency voice broadcasting services and facility to provide voice message announcements to the residents of the center. Calls are delivered to both answering machines and tenants. Phone calls may be activated by association officers via the internet or by calling our 800 number. Our severe weather warning and emergency broadcast service is easy to use. Calls can be initiated from our website or can be activated by phone. If you purchase our system, activation can be initiated using our easy-to-use wizard program. Our emergency notification service can be initiated by calling our emergency 800 number and simply entering an account ID and password by touch phone. Once validated, you can record your message and select from any number of lists of phone numbers (such as snow removal crews). That's it! We immediately start calling the individuals on the selected list playing the recorded message. We also provide the same type of activation using our website. Here you also have the ability to maintain your lists as well as create new ones using our mapping systems. When an emergency arises, you simply record your emergency message offline or use our toll free phone service to record your message. Next identify your call recipients using a simple list manager or a graphical map display and send us your phone numbers via the internet. We do the rest. Our emergency notification network also supports computer and web connectivity using XML technology. Thus, emergency communication can be initiated from your website or computer by automatically sending our emergency phone system a message containing a list of one or more phone numbers and a message to be sent to these individuals. The message can be text (which is automatically converted to voice) or a voice file. For further information, visit our Emergency XML messaging web page. Contact Us Today to learn more about our weather warning systems and services.